In a rapidly changing world, with increasing competition in all sectors of transportation, railways are in a period of restructuring their management and technology. New methods of organization are introduced, commercial and tariff policies change radically, a more entrepreneurial spirit is required. At the same time, new high-speed tracks are being constructed and old tracks are renewed, high-comfort rolling stock vehicles are being introduced, logistics and combined transport are being developed. Awareness of environmental issues and the search for greater safety give a new role to the railways within the transportation system. Meanwhile, methods of analysis have significantly evolved, principally due to computer applications and new ways of thinking and approaching old problems. 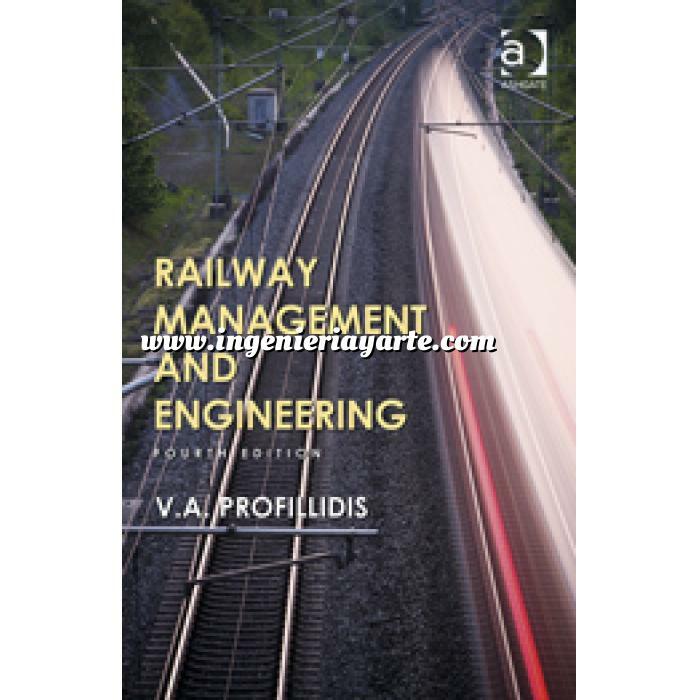 Thus, it becomes necessary to come up with a new scientific approach to tackle management and engineering aspects of railways, to understand in-depth the origins and inter-relationships of the various situations and phenomena and to suggest the appropriate methods and solutions to solve the various emerging problems. This book aims to cover the need for a new scientific approach for railways. It is intended to be of use to railway managers, economists and engineers, consulting economists and engineers, students of schools of engineering, transportation, economics, and management. The book is divided into three parts, which deal succes-sively with management, track, and rolling stock, environment and safety. Each chapter of the book contains the necessary theoretical analysis of the phenomena studied, the recommended solutions, applications, charts and design of the specific railway component. In this way, both the requirement for a theoretical analysis is met, and the need of the railway manager and engineer for tables, nomographs, regulations, etc. is satisfied. Railways in Europe have separated activities of infrastructure from those of operation. In other parts of the world, however, railways remain unified. The book addresses both situations (separated and unified railways). Railways present great differences in their technologies. Something may be valid for one such technology, but not for another. To overcome this problem, regulations of the International Union of Railways (UIC) as well as European Standardization (CEN) and European Technical Specifications for Interoperability (TSIs) have been used to the greatest extent possible. Whenever a specific technology or method is presented, the limits of its application are clearly emphasized. Contents: Foreword, Prof. A. López Pita; Preface; Railways and transport; High speeds and magnetic levitation; Policy and legislation; Forecast of rail demand; Costs and pricing; Planning and management of railways; The track system; Mechanical behavior of track; Subgrade - geotechnical and hydrogeological analysis; The rail; Sleepers - fastenings; Ballast; Transverse effects - derailment; Track layout; Switches and crossings; Laying and maintenance of track; Slab track; Train dynamics; Rolling stock; Diesel and electric traction; Signaling - safety - interoperability; Environmental effects of railways; List of references; Abbreviations; Index. About the Author: V.A. Profillidis is a Transport Consultant and Professor at Democritus Thrace University, Xanthi, Greece. A consultant on many railway projects, with thirty years of research, teaching and professional experience in Railway Management and Engineering, he has published 140 papers in scientific journals and conference proceedings in this field. Previously he was visiting professor at the Department of Management of the University of Macedonia, Thessaloniki, Greece and an advisor to the Greek Ministry of Transport, the Greek Railways and the Greek Ministry of Public Works. He has also been a research associate in the Research Department of the International Union of Railways (UIC) and at French Railways (SNCF). He gained the diplomas of Civil Engineering and of the Faculty of Law and Economics at the University of Thessaloniki, D.E.A. and Ph.D. from Ecole Nationale des Ponts et Chaussées of Paris.